Looking for a way to send message(s) to a phone number without having it saved as contact in your WhatsApp? Here's how, works for both Android and iOS devices. 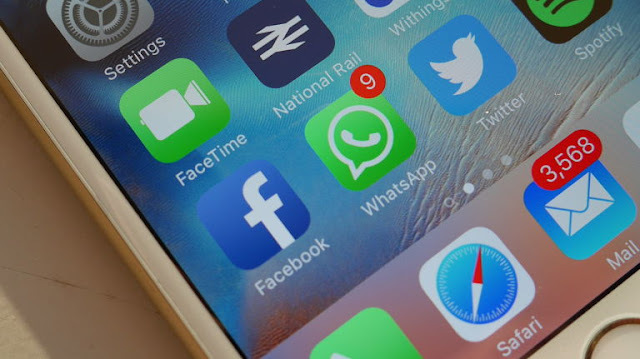 From inception till now, WhatsApp has been a peer-to-peer messaging platform, which means that you have to personally know someone, or at least have their primary phone contact before you can message them. In fact, you have to save the contact of the individual you wish to message via WhatsApp on your phone, with or without a name...or do you? In this article, I'll show you how to send messages to a contact on WhatsApp without saving their number. If the contact you want to send a message to without saving is on the same WhatsApp group chat with you, you can message them easily. 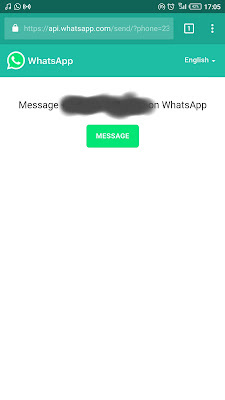 Simply open the WhatsApp group, find any message sent by that contact to the group, and click on the contact's number displayed on top of the message. In the menu that appears, select Message [contact's number] and a new chat will be opened for you and that contact. You can then proceed to send messages to the contact without saving their phone number. Another way you can do this, if you can't readily find a message sent by the contact to the group (or don't want to), is to open the group info page (from the overflow menu or by clicking the group name at the top of the group chat) and scroll through the list of members until you find the particular contact's number. Then click on the number and select Message [contact's number] and a new chat will be opened for you and the contact. WhatsApp has a feature called Click to Chat with which you can send messages to numbers not saved in your phone's address book directly. To do this, you'll need to create a special URL with the contact's phone number in international format. When the URL is clicked or visited in a web browser, a new chat will be opened between you and the contact on WhatsApp (on your phone or on WhatsApp Web). To create the special link, add the contact's phone number at the end of this link https://api.whatsapp.com/send?phone=. To get the international format of a phone number, remove the 0 at the beginning and add the country code without the + (and the leading zeros if the country code starts with zeros). If the phone number is 08012345678 and the country code is +234, the international format for WhatsApp Click to Chat will be 2348012345678 and the link will be https://api.whatsapp.com/send?phone=2348012345678. Again, if the phone number is +001-(555)1234567, the link will be https://api.whatsapp.com/send?phone=15551234567.